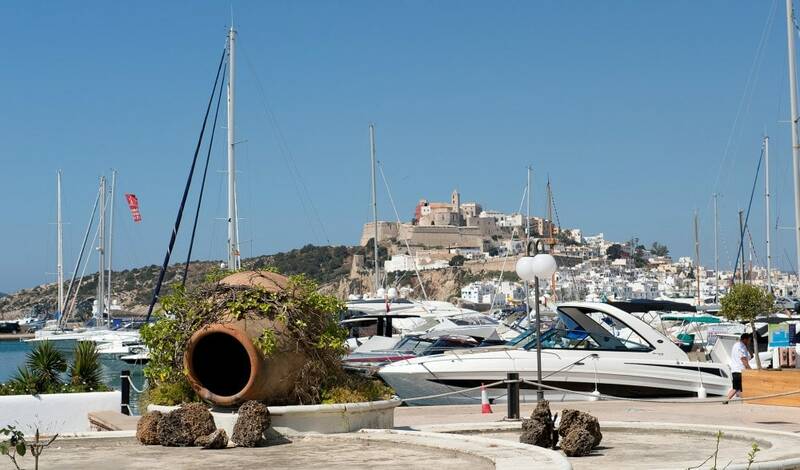 It is no surprise that second-home buyers are attracted by Dalt Vila property, enjoying magnificent views over the city and the harbor, and being just steps away from the vibrant port and nightlife, as well as shops and restaurants. Most of the luxury penthouses and villas in the area are situated in a privileged position high above the old town or within its ancient walls. 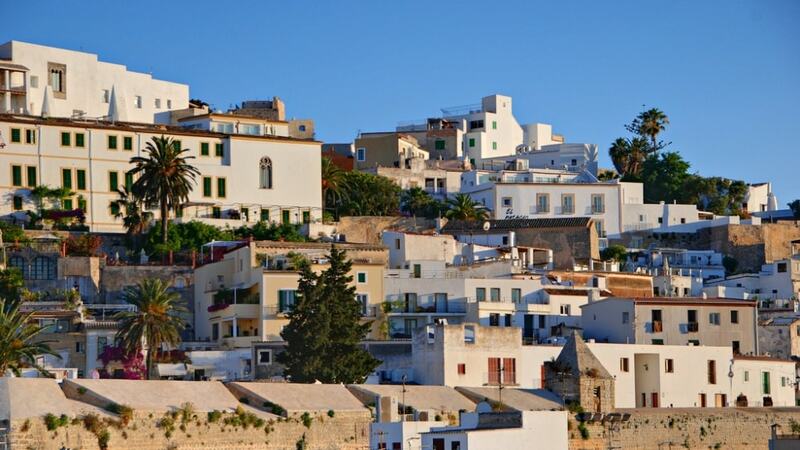 Dalt Vila property market offers one of the most expensive houses on the island. The current average house price per square meter is Average price per sqm. in Dalt Vila (Old Town) €6,257 0% properties#: 33 last change on: 23 Apr 2019 €6,257 . Apartments are Average price per sqm. in Dalt Vila (Old Town) €5,943 -1% properties#: 78 last change on: 23 Apr 2019 €5,943 per sq. meter, while investment opportunities have a current average of Average price per sqm. in Dalt Vila (Old Town) €7,057 0% properties#: 18 last change on: 23 Apr 2019 €7,057 . There is a premium value for a Dalt Vila apartment with a sea view position. The most renowned real estate agencies on Dalt Vila property market are Luxury Villas Ibiza, Ibiza Prestige and Ibiza Agents. 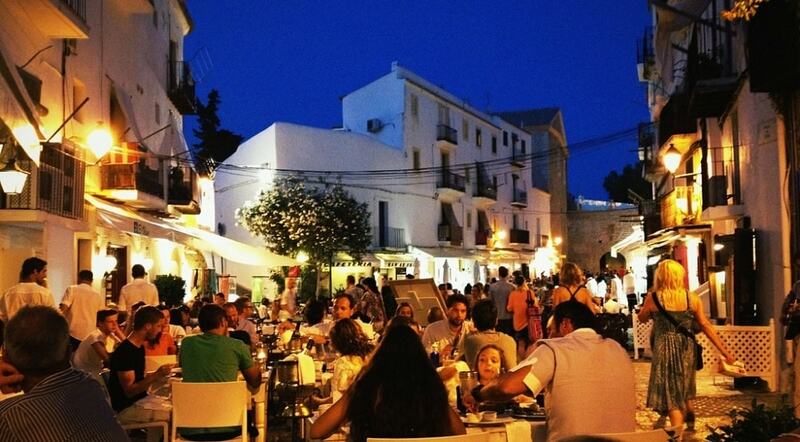 Located in the Eivissa, the area is a historical centre of the island. Here, the presence of history is coupled with the charm of a joyful town. It is where history meets style. Dalt Vila is a home to a sixteenth century hilltop castle, whose fortification and walls is a declared UNESCO World Heritage Site. The construction of the fortification was ordered by Philip II of Spain, setting to Ibiza a strategic task in his defense plan for the Mediterranean from the Berber pirates’ invasions. Its construction began in 1554 and is said to have lasted 31 years. Nowadays, this historic area has turned into an open air museum. Here you find traces of many nations that have settled in the Island: Carthaginians, Phoenicians, Romans, and Muslims. It is full of monuments, such as the castle complex and Santa Maria Cathedral (the crown of the Dalt Vila), and historical sites such as the necropolis of Puig des Molins. The town’s architecture is of incredible beauty and, at the same time, simplicity, which has considerably influenced the colonial buildings of the New World. The handicraft boutiques and art galleries on the walk up to the Cathedral offer unique crafts that are real treasures. 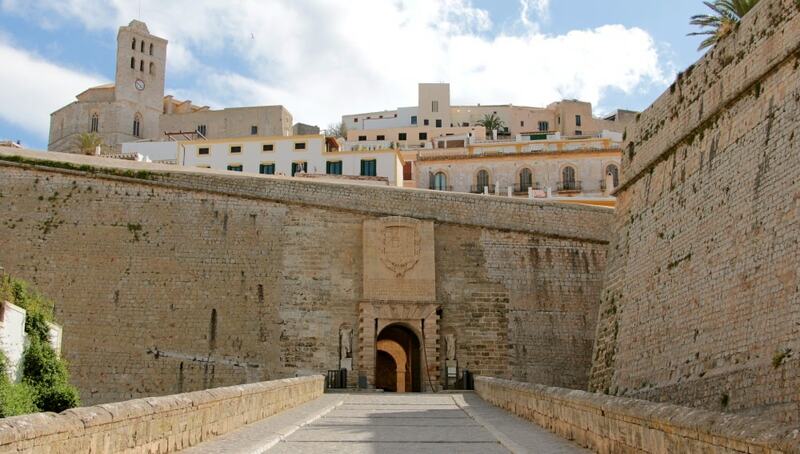 Dalt Vila is characterized by the chain of narrow and steep cobbled streets firmly protected by the walls. They are well-preserved and provide spectacular views over the town and harbour area from the high bastions and the vast terraces at each level. By walking these winding streets, you still breathe the ambience of middle ages. If you are willing to widen your cultural horizons, on top you find the Contemporary Art and Archaeological museums, also boasting breathtaking views. The Old Town encompasses both the historic heritage and a lively cosmopolitan town appeal. Life flows in the main squares (for example, Plaza de la Vila and Plaza de Sa Carrosa) where you can meet people from all over the world, eager to enjoy this inspiring international atmosphere. Town’s most vibrant social scene, yet it is centred on Calle de Barcelona. This is the large pedestrian-only street just off the port that boasts plenty of outdoor restaurants, shops, and bars. It offers a hive of non-stop activities every day until about midnight. This is where people gather to shop, dine, and drink before heading for the night out in the clubs. There are many top class restaurants in the area, such as ”La Oliva”, found on a paved terrace in the most animated square. Here you can taste the combined Mediterranean cuisine with Asian touches in the intimate, romantic, and famous Ibicenco ambience. The port areas of Marina Ibiza and Marina Botafoch and are the most striking yachting marinas with luxury yachts berthed here, offering a wide range of services. Botafoch’s cruise liner dock expansion boasts spectacular views of Dalt Vila and is one of the locals’ favourite promenade areas. At night, the town comes even more to life thanks to street artists, drag queens, discotheque promotional parades, and some extravagant individuals, who have made the Port’s night atmosphere popular all over Europe. One of the island’s most famous nightclubs, the legendary Pacha, is also located in the area. 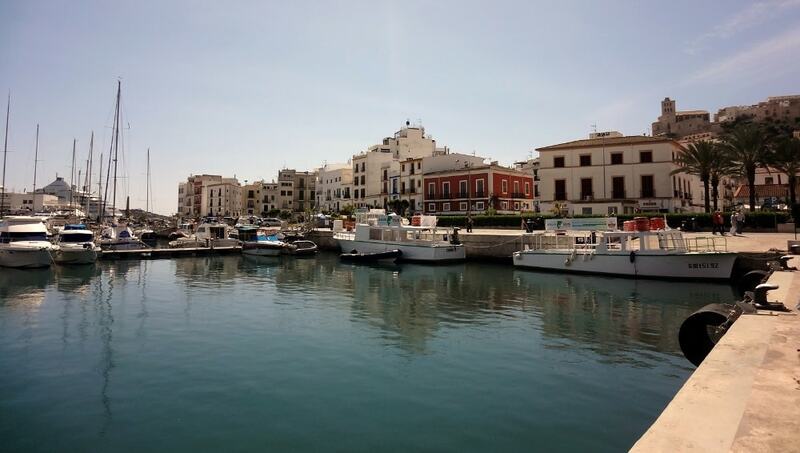 Conveniently, the quality and famous beaches are closely located to Dalt Vila. The wide Figueretes beach and resort with its palm-lined promenade is a bustling small area. In the beautiful beach of Talamanca, you will find a family and tranquil ambience. And, Playa d’en Bossa is the best option for a younger crowd. The city also hosts the main establishments of the island and provides many services to both travelers and residents, such as hospitals and commercial areas. Dalt Vila is also a home for one of the Ibiza’s most spectacular hotels, La Torre del Canonigo, with amazing views of the harbor and surrounding castle. And, here you find the renowned Mirador de Dalt Vila opposite the town hall. 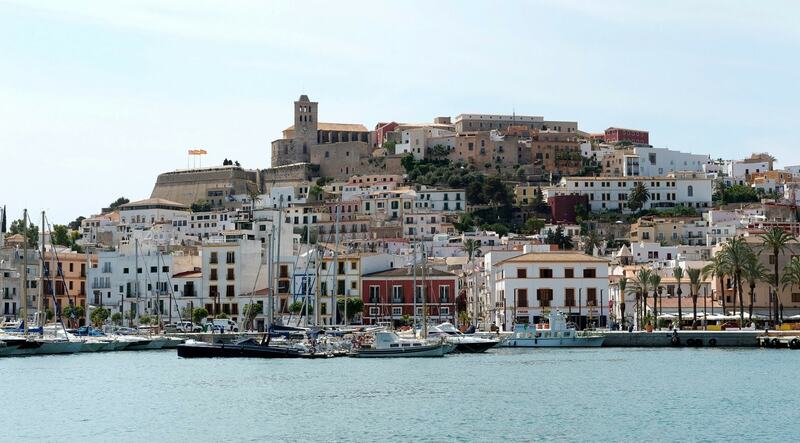 You will discover a variety of products and shopping opportunities in Ibiza’s Port area, as well as on the main avenues of the town, such as Espana, Bartolome Rosello, Isidoro Macabich, and Ignacio Wallis. 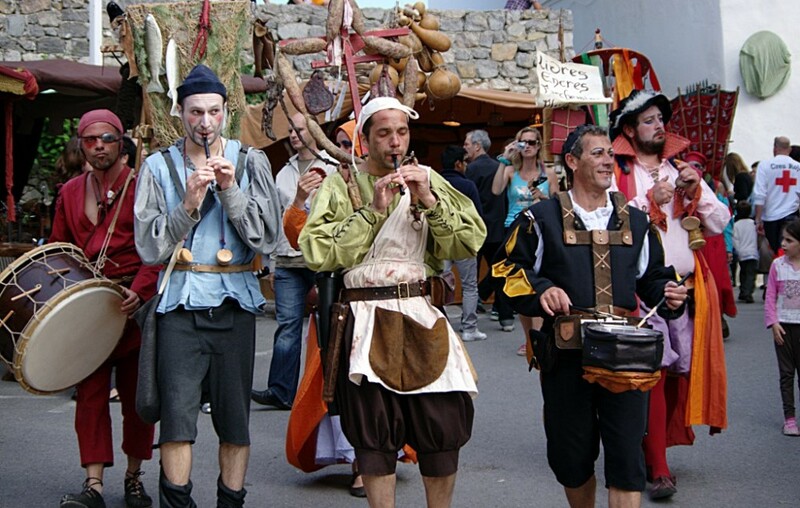 One of the most spectacular events in the area is Medieval Fair of Dalt Vila. 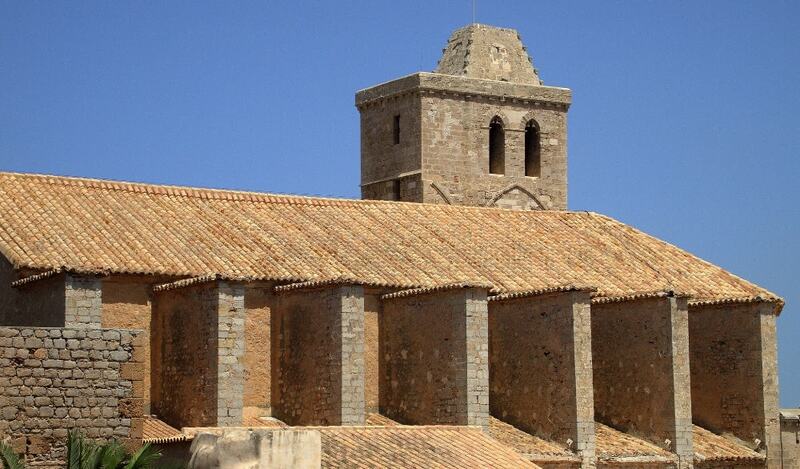 Each year in the second week of May, Ibiza travels in time back to the medieval ages. The ancient walls of the Old Town are the perfect setting for some days full of magic and sparkling entertainment. Hundreds of craftsmen imitate the ancient customs making it an unforgettable spectacle for all visitors. Here you will experience a great afternoon among medieval knights, acrobats, princesses, goldsmiths, and musicians. Also, during these days in the market, you can buy original crafts and taste some of the medieval food delights. 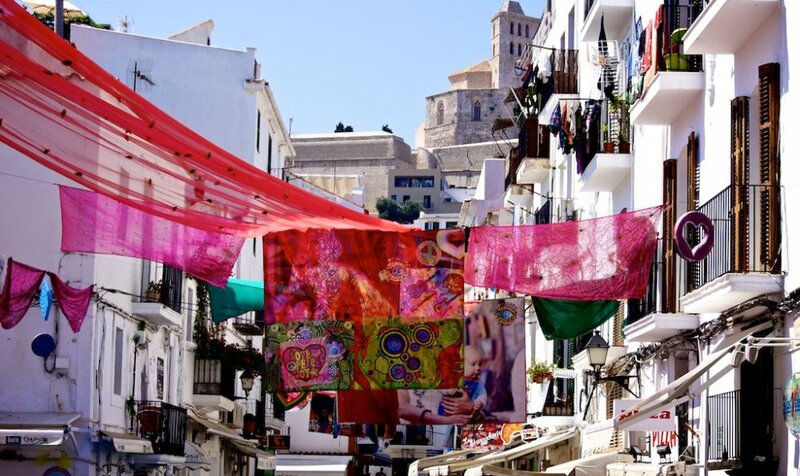 Encapsulating wonderful panoramic views and historical treasures, Dalt Vila is an ideal setting for the great artistic, social and cultural events in the island. Moreover, it is a perfect headway for those second home buyers, who want to live in the heart of it all and in a totally cosmopolitan atmosphere.